There are many pet food brands that are similar to Eukanuba. These affordable alternatives offer similar amounts of protein, fat, and fiber. Our records also suggest that these substitutes for Eukanuba offer similar (or better) ingredients. In other words, these brands are less expensive alternatives that provide a similar level of quality. On average, the brands we’ve selected for this list are cheaper than Eukanuba by 10% or more. If you’d like to continue feeding Eukanuba, consider using our price comparison or sale section to save money on your next purchase. What Type Of Pet Food Are You Looking For? Disclosure: PawDiet has an affiliate relationship with stores featured (or linked-to) in this article. We are compensated for referring customers. Thank you for shopping with our retail partners! This article is updated regularly to maintain up-to-date information. All data is maintained internally. Chicken Soup For The Soul offers comparable dry dog food recipes at an average cost of $1.67 per pound. On average, Chicken Soup For The Soul dry dog food is 12.61% cheaper than Eukanuba. Considering all dry dog foods manufactured by Chicken Soup For The Soul, we've computed an average of 2 controversial ingredients and zero harmful ingredients. These averages are less than those computed for Eukanuba (0 harmful, 2.57 controversial). If you'd like to read a detailed comparison and see an overview of all harmful and controversial ingredients, click here. Here is an up-to-date list of retailers who currently stock Chicken Soup For The Soul Dry Dog Foods. Diamond offers comparable dry dog food recipes at an average cost of $1.17 per pound. On average, Diamond dry dog food is 38.51% cheaper than Eukanuba. Considering all dry dog foods manufactured by Diamond, we've computed an average of 1.24 controversial ingredients and zero harmful ingredients. These averages are less than those computed for Eukanuba (0 harmful, 2.57 controversial). 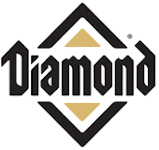 Here is an up-to-date list of retailers who currently stock Diamond Dry Dog Foods. Eagle Pack offers comparable dry dog food recipes at an average cost of $1.45 per pound. On average, Eagle Pack dry dog food is 24.01% cheaper than Eukanuba. Considering all dry dog foods manufactured by Eagle Pack, we've computed an average of 1 controversial ingredients and zero harmful ingredients. These averages are less than those computed for Eukanuba (0 harmful, 2.57 controversial). Here is an up-to-date list of retailers who currently stock Eagle Pack Dry Dog Foods. Iams offers comparable dry dog food recipes at an average cost of $1.34 per pound. On average, Iams dry dog food is 30.01% cheaper than Eukanuba. Considering all dry dog foods manufactured by Iams, we've computed an average of 1.93 controversial ingredients and zero harmful ingredients. These averages are less than those computed for Eukanuba (0 harmful, 2.57 controversial). Here is an up-to-date list of retailers who currently stock Iams Dry Dog Foods. Pure Balance offers comparable dry dog food recipes at an average cost of $1.50 per pound. On average, Pure Balance dry dog food is 21.47% cheaper than Eukanuba. Considering all dry dog foods manufactured by Pure Balance, we've computed an average of 2.14 controversial ingredients and zero harmful ingredients. These averages are less than those computed for Eukanuba (0 harmful, 2.57 controversial). Here is an up-to-date list of retailers who currently stock Pure Balance Dry Dog Foods. SPORTMiX offers comparable dry dog food recipes at an average cost of $0.88 per pound. On average, SPORTMiX dry dog food is 54.03% cheaper than Eukanuba. Considering all dry dog foods manufactured by SPORTMiX, we've computed an average of 2.06 controversial ingredients and zero harmful ingredients. These averages are less than those computed for Eukanuba (0 harmful, 2.57 controversial). Here is an up-to-date list of retailers who currently stock SPORTMiX Dry Dog Foods. Victor offers comparable dry dog food recipes at an average cost of $1.59 per pound. On average, Victor dry dog food is 16.72% cheaper than Eukanuba. Considering all dry dog foods manufactured by Victor, we've computed an average of 1.71 controversial ingredients and zero harmful ingredients. These averages are less than those computed for Eukanuba (0 harmful, 2.57 controversial). Here is an up-to-date list of retailers who currently stock Victor Dry Dog Foods. Wag offers comparable dry dog food recipes at an average cost of $1.60 per pound. On average, Wag dry dog food is 16.23% cheaper than Eukanuba. Considering all dry dog foods manufactured by Wag, we've computed an average of 1 controversial ingredients and zero harmful ingredients. These averages are less than those computed for Eukanuba (0 harmful, 2.57 controversial). Here is an up-to-date list of retailers who currently stock Wag Dry Dog Foods. Authority offers comparable wet dog food recipes at an average cost of $1.66 per pound. On average, Authority wet dog food is 24.74% cheaper than Eukanuba. Considering all wet dog foods manufactured by Authority, we've computed an average of 1.09 controversial ingredients and zero harmful ingredients. Although the optimal average number of controversial ingredients is zero, these values are still lower than those computed for Eukanuba (0 harmful, 1 controversial). Here is an up-to-date list of retailers who currently stock Authority Wet Dog Foods. Evolve offers comparable wet dog food recipes at an average cost of $1.96 per pound. On average, Evolve wet dog food is 11.14% cheaper than Eukanuba. Considering all wet dog foods manufactured by Evolve, we've computed an average of 0.64 controversial ingredients and zero harmful ingredients. Although the optimal average number of controversial ingredients is zero, these values are still lower than those computed for Eukanuba (0 harmful, 1 controversial). Here is an up-to-date list of retailers who currently stock Evolve Wet Dog Foods.